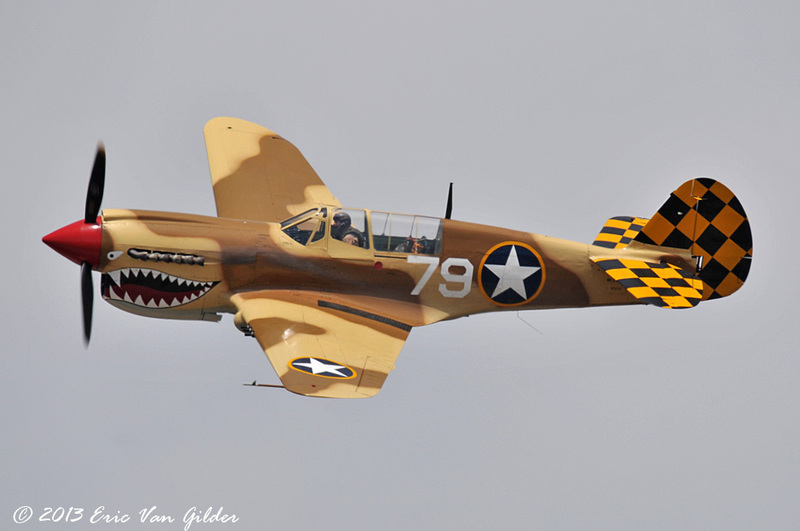 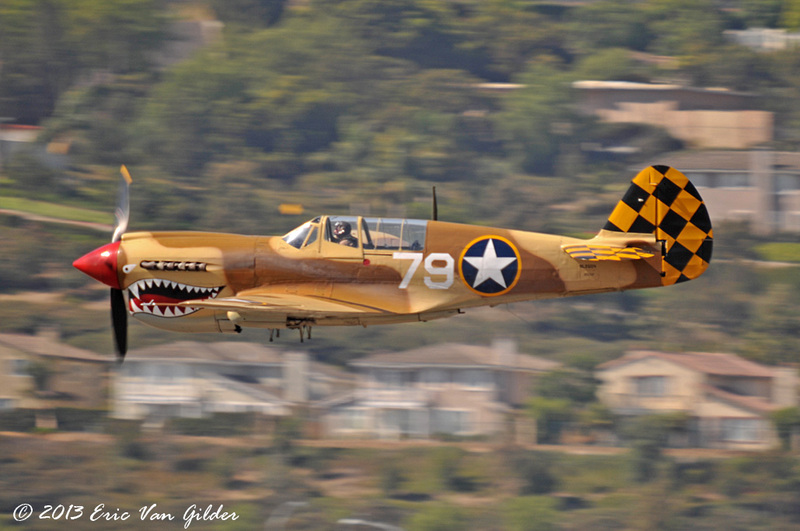 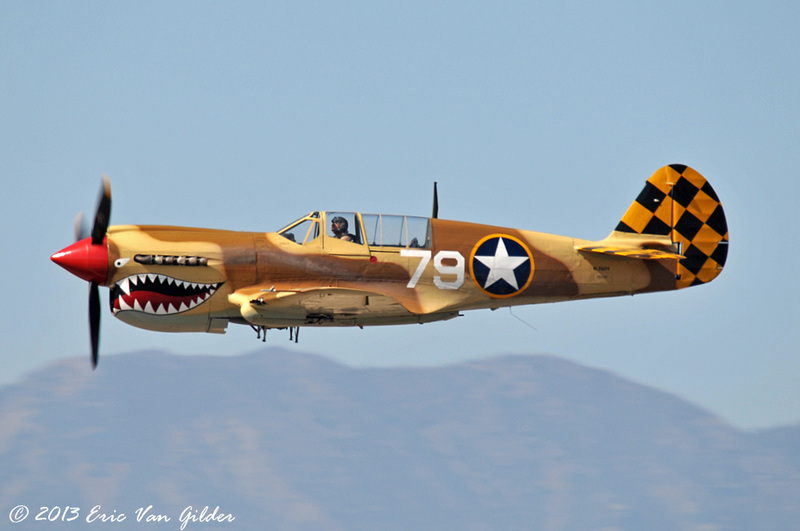 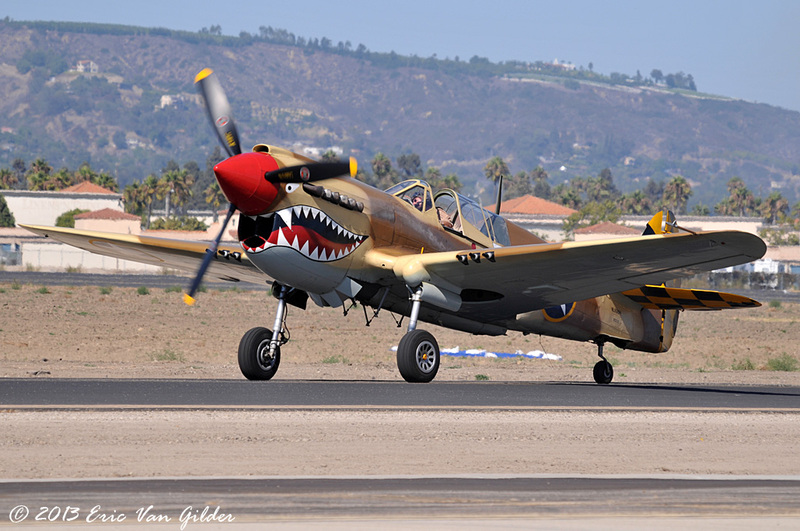 The Curtiss P-40 Warhawk was made famous by the American Volunteer Group in China, referred to as the "Flying Tigers". 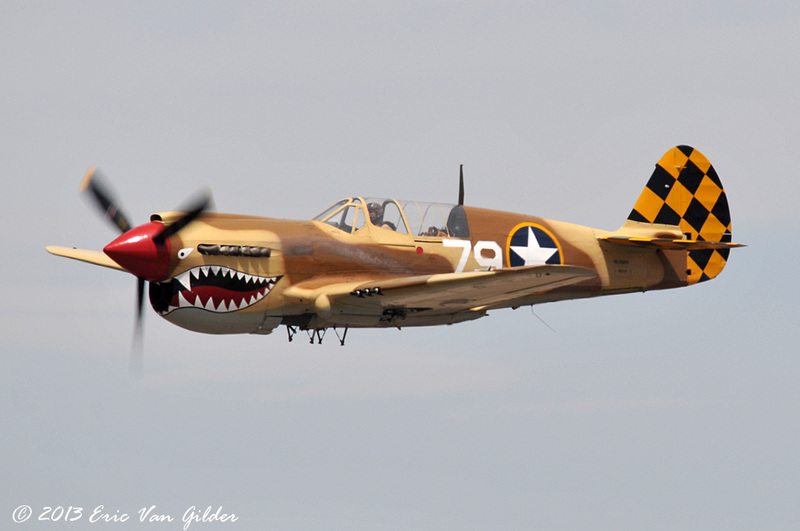 Early P-40s were the first American fighters to break the 300 MPH barrier. 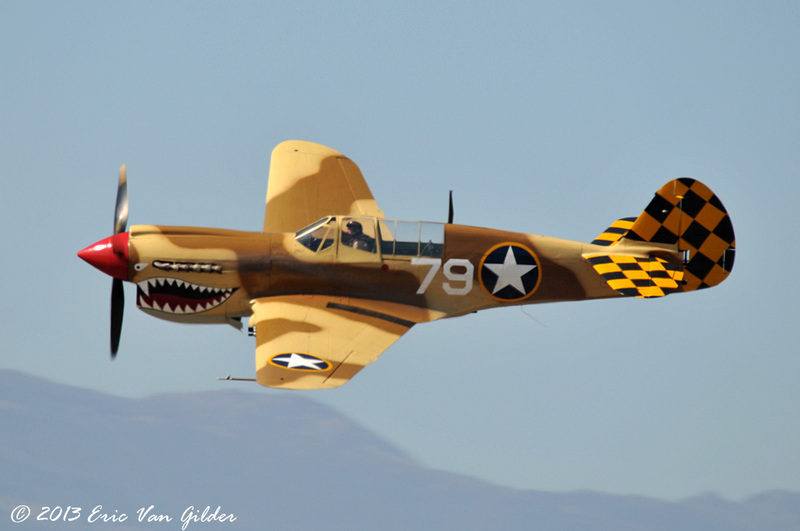 Also called the Tomahawk and the Kittyhawk in different versions, the P-40 was not the fastest, best or most glamorous fighter in the US inventory. 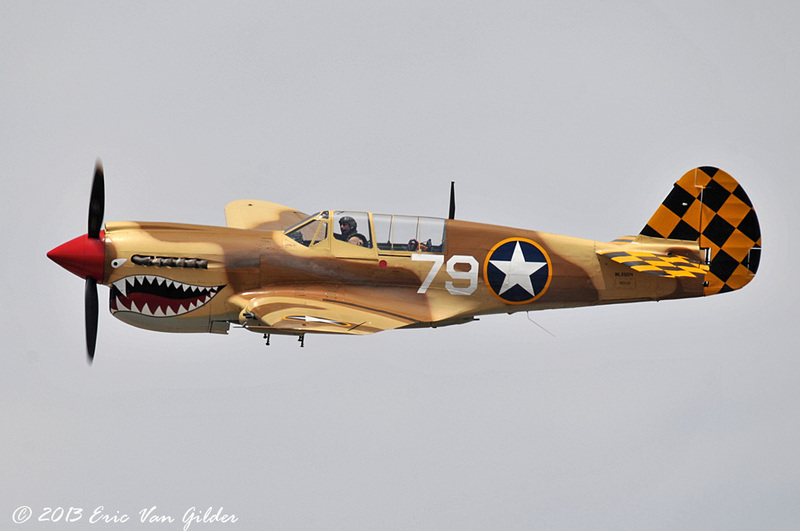 But it performed well for itself in the CBI (China, Burma, India) and Mediterranean Theaters of operation.